Our Foundation is heavily invested in Native communities. 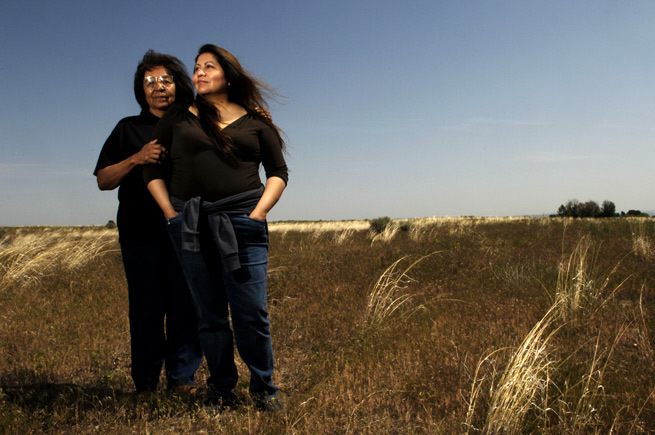 Forty percent of our grants and program-related investments go to Native-led organizations. This commitment stems from a history not only of American wealth-building in the rich and varied lands that stretch from the Mississippi River to the Pacific Northwest, but also of wealth-stripping from the 75 Native nations in this eight-state region we serve. Our commitment is more than financial. It’s relationship-based, values-driven, and deep. It’s a perspective that makes me bristle every time I hear the word “tribal” used to describe the extreme political and cultural divisiveness that surrounds us today. If reality allowed, Kevin would have a one-on-one discussion with every one of you about the people and the work that the Northwest Area Foundation supports. But reality doesn’t allow this. So, the next best thing is to blog. This is the first in a series of quarterly entries that highlight issues sparking ideas and insight for Kevin and the Foundation. What’s being labeled “tribal” is better understood as factional. We in the United States are experiencing a period of polarization and division. High levels of partisan vitriol and civic strife. A media environment that thrives on rancor and us-versus-them messaging. We’re indulging in an extreme version of what George Washington once called “faction,” in which the default mode for millions is to hunker down with those who agree with us and vilify those who don’t. I think there’s broad agreement that this is the state we’re in as a country. But what should we call this mess? Increasingly, the word “tribalism” is the trendy answer. But it’s the wrong answer. Voices in the media from across the political spectrum keep using “tribal” and “tribalism” to mean rancor, vitriol, division, and us-versus-them thinking. I admit these words have a certain ring to them, so what’s the problem? Does it make a difference what words we use? Yes, it does matter. The words we choose can shine light into darkness, but they can also hit and hurt like hammer blows. And I’ve come to believe that the word “tribal” is being used as political shorthand today in a way that is downright destructive. When we use words irresponsibly, they distort our understanding. Being tribal includes giving and receiving. Our Foundation’s relationship with Native communities has an element of reciprocity: While giving, we’ve received a great deal of learning through sustained engagement with tribal communities, and it’s made us a more effective organization. The Native leaders I’ve gotten to know during the 10+ years since I joined NWAF are driven by an imperative to serve their communities and their people. It’s integral to their identity. Their connection to community is grounded in spiritual and cultural beliefs, and reinforced by their lived experience and deep family bonds to place and to one another. They often focus their work first on their tribal nations, and they think in the long term—over many lifetimes to come. While recognizing the tremendous needs in Indian Country, they are confident that their work will help their people reclaim the strengths of their cultures, even if it takes generations. That’s some of what I’ve learned from my Native colleagues: NWAF staff members, board members, grantees, consultants, and thought partners. I’m privileged to work with them. Let’s use “tribal” as a means of truly seeing Native communities. As a non-Native man who spends a lot of time working with and learning from my Native American neighbors—tribal people in the literal sense—I have a problem with “tribal” continuing to be used as if it means divisive and bad, with no positive connotations here in this country of 573 sovereign tribal nations. For years, I’ve listened carefully to my Native friends and colleagues when they describe the experience of feeling invisible in contemporary America. The current use and abuse of the word “tribal” is a fresh example of this erasure. Every time we use that word to describe our divisive and angry political climate, we’re suggesting that the actual tribal people in our midst are invisible or irrelevant. But the truth is that Native people are still here, millions strong, and that the tribal sovereignty movement of recent decades is gathering steam. Tribal communities face all sorts of challenges rooted in 500 years of injustice, but they are also vibrant places of endurance and innovation, with a young and growing population. These are people and places with a future. A great way to start is by reclaiming Native truth. The quickest antidote I can suggest to the toxic use of the word “tribal” is to unplug from the media shouting match for an hour and, instead, explore the Reclaiming Native Truth project. (The Northwest Area Foundation helped fund this work, and I served on its 20-member advisory committee.) Reclaiming Native Truth is a powerful research-and-action project that seeks to dispel America’s myths and misconceptions about Native Americans. Reclaiming Native Truth proclaims loud and clear that Native people and Native communities are still here. It celebrates their vibrancy, resilience, diversity, and ingenuity. And it shines a bright light on the fact that Native values, such as stewardship of the earth and thinking seven generations ahead, contain precisely the wisdom and insight that can lead all of us into a sustainable future. That is Native truth as I have come to understand it. It’s a far cry from the “tribalism” described in the political media every day. Let’s embrace and celebrate Native truth. In order to do so, let’s find words other than “tribalism” to describe the angers and fractures of the American political culture in 2019.